Tokyo, 22 March – Sun shining, temperatures poised to hit the twenties, and the occasional cloud in the sky set the stage for a perfect day out. 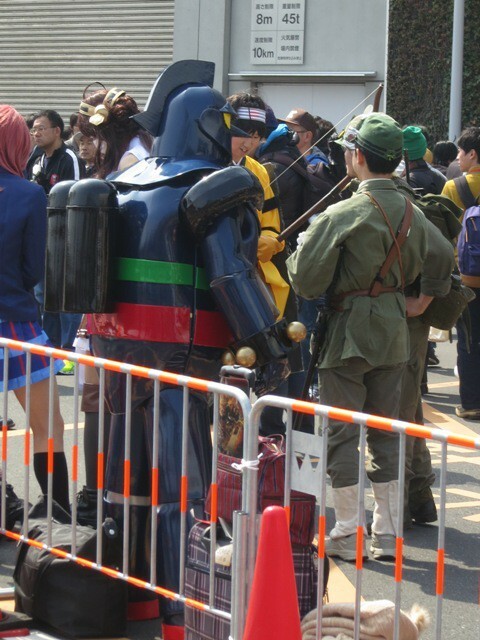 Japan’s largest anime exhibition, AnimeJapan 2015, beckoned at Tokyo Big Sight at Ariake in the Tokyo bay area. 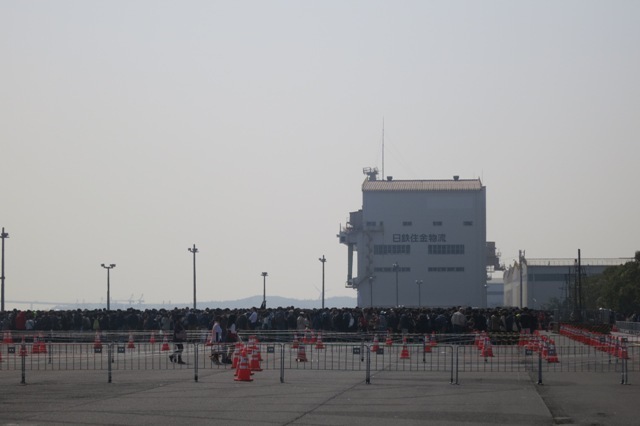 The crowd streamed steadily from Kokusaitenjijo seimon mae station toward the iconic exhibition hall. Greeted by a poster signboard that directed the stream off to the walkway that seemed to wrap round the building, regular visitors were taken to a parking lot behind, while some privileged few, probably press or event sponsors, passed through open covered transparent walkways. The crowd seemed happy to create a line, with only a few voices to guide them at random intervals. All the way, there was excited chatter about characters, stories and upcoming titles that were supposedly unveiled a few days earlier. This was the anime crowd – a mixed bag of mid-20s to 40s, maybe even 50s, presumably either studying or employed. Some brought along family and were allowed in through a separate side route that took the kids away from the main crowd. They sauntered unhindered past the larger part of the anime following that quickly filled 2 separate parking lots, which together easily spanned a football pitch. The waiting areas were fenced in and dissected by a road, yet the crowd did not feel the least penned in or dampened. The cool weather and light breeze made the 20-minute walk and subsequent 40-minute wait a time to quickly catch up on topics and highlights for the day. Who would have thought that the cosplayer’s area would be within literally touching distance as we moved closer to the entrance to the exhibition hall? 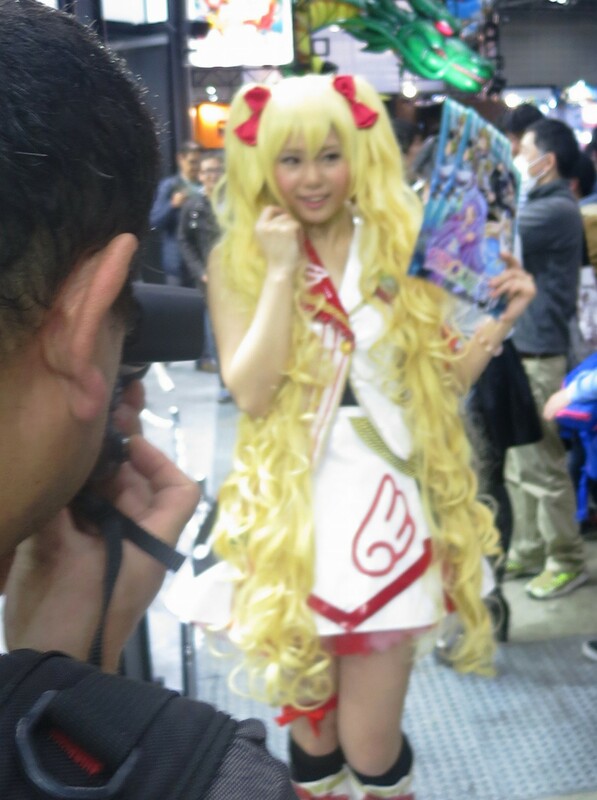 Press and excited fans busily worked their shutters, training their devices on others dressed in full costume. While others seemed adamant to revel in their skin, one did not leave any exposed. Such was the dedication to detail, an expression of extreme affinity comprehensible only as fandom. Not a cloud in the sky, there was no reason to stay outside when everyone else was raring to catch whatever awaited within. Two large halls split exhibitors, which were production studios, publishers, gaming companies and anime schools. Broadly familiar characters like Detective Conan and Pikachu floated above the booths below, echoing their elevated status in the industry. The floor was littered with dressed up girls, often the target of eager shutterbugs, dealing out freebies and pamphlets while similarly costumed fans strolled purposefully past to their mecca. Besides the icons overhead, the uninitiated would find little difficulty in recognizing some familiar faces. 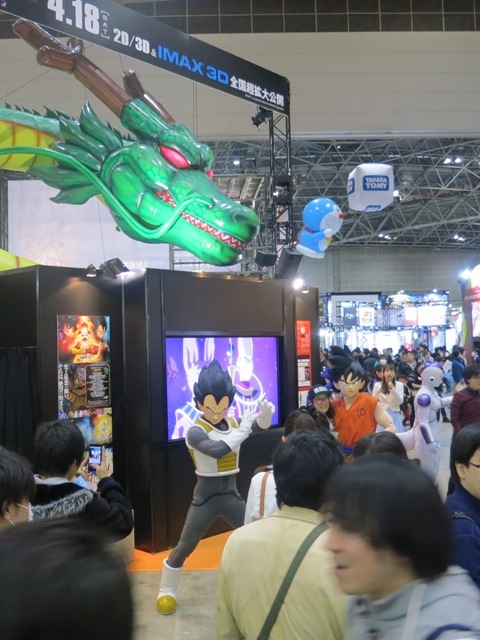 Doraemon is celebrating its 35th year, while Dragon Ball had Frieza and Goku posing with fans for a new movie and Sailor Moon sat quietly in the same section of the hall. Cowboy Beebop placards peered over passerbys and Gundam teased fans with a three screen 270 degree enclosure of the upcoming movie trailer. 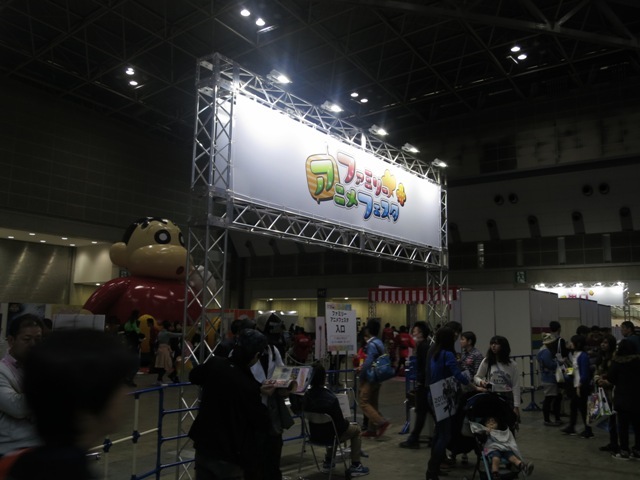 The Yoyogi Animation Gakuin booth left a largely different impression. Two artisans were at work that day, one sculpting clay figurines and the other painting. Both performers were screened in their mini live studios in monitors above as onlookers stayed peeled on the creative work in action. The brushwork piece from the day before was a stunning rendition of the iconic entrance building overcome by nature. Next door was the charity auction area where visitors could choose to donate and bid for the right to be drawn next to their favourite character or purchase limited edition memorabilia. In contrast to the frenzy and excitement was an unusually subdued section across the hall. The view from this side into the family exhibit area left me confounded. Kids were usually the most easily heard by miles, yet the atmosphere in that section was non-existent to say the least. Booths were sparsely spaced, the few participant families littering the booths made the area even seem distinctly more vast. Primary school children and below were non-paying fans, but the contrast that day was embarrassingly obvious. The tables were turned, the targeted segment was clear. 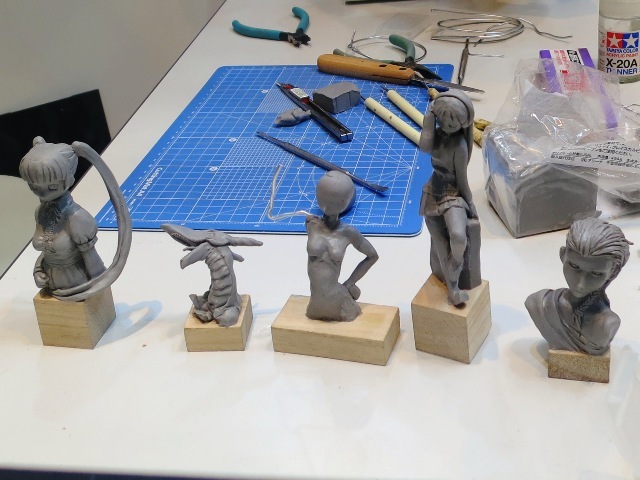 Moving on to the next hall, the Japan Animators Exhibition showcased projects that attempted to push the limits of anime as a storytelling genre. Eyes were glued to a frantic man and bug story unfolding in an apartment interweaved with the bug taking on the form of screaming girl. Bizarre but wildly entertaining. 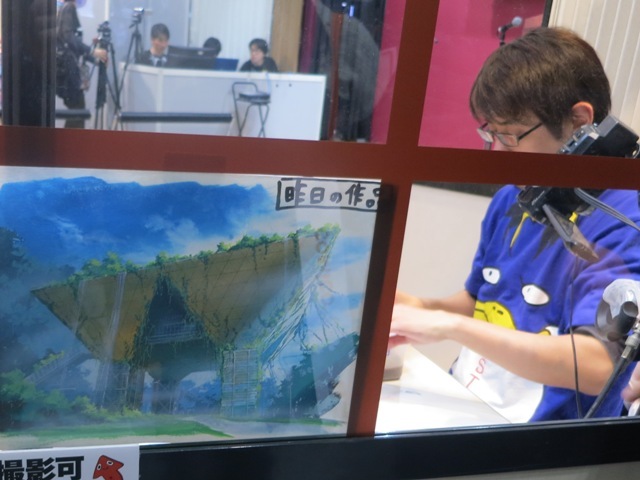 It summed up the event for the uninitiated, with a few question marks hanging over using the event to cultivate the next generation of anime fans and would-be creators and storytellers. For that, the industry is well-equipped with other channels.